Hello! Hope your week is going swell!! We know how important your dental health is to you and want to help you stay on track to having overall excellent health and a beautiful smile! 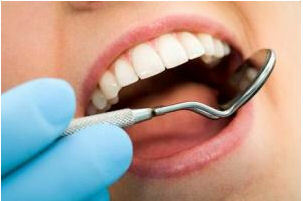 We just wanted to send you a quick reminder and ask the question, are you due for your professional dental cleaning? Myra and Danielle’s days are filling up quick! Call us now to reserve the appointment time you need!! When you call ask us about our new WHITENING FOR LIFE program!! Our other patients just love it! You will too!! Larrondo Dentistry is located at 160 South Santa Fe Street in Hemet, California.